R.A. Dickey has been extremely mediocre during his 16 years in major league baseball. He’s a .500 pitcher with an ERA a bit above 4. In 2012, however, he had a season that was anything but mediocre. He won the National League Cy Young award by a landslide. He came into the game, pictured above, with an 11-1 record and 2.00 ERA. He was on a roll, having won his prior 9 games–3 by shutout. He had struck out 25 batters in his prior two starts, and at least 8 in each of his prior 7 starts. This game, against the Yankees, did not go his way (other than this score of his). The Mets lost, although Dickey didn’t take the loss. He rebounded, though, and threw a shutout in his next outing. 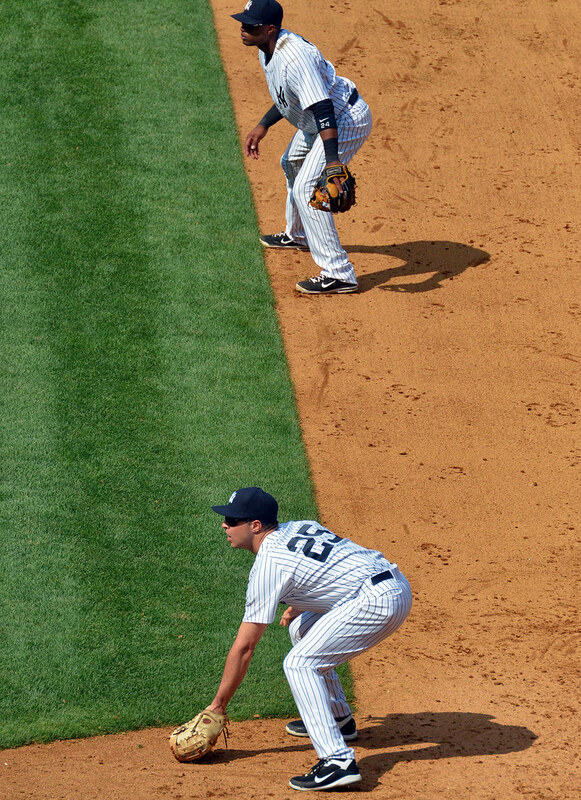 I took today’s photo in 2012, a year in which both Robinson Cano and Mark Teixeira won gold gloves while playing for the Yankees. This year I will cross one more stadium off my bucket list. I’m heading to Kansas City in April to see the Royals play the Angels. Hopefully, I’ll get to see Shohei Ohtani hit and pitch. My random, desktop image of the day comes from five summers ago. My random, desktop image of the day comes from five years ago. Tommy Hanson died earlier this week at the age of 29. I saw him pitch in Yankee Stadium in 2012. The day was a historic one as nine home runs were hit, the most ever in a single game at new Yankee Stadium. Hanson got the win on that day, as most of the home runs were hit by the Braves. He threw five innings, giving up four, solo home runs. The Braves won 10-5.